Calling all southern MA vacationers and residents! The Greater New Bedford Summerfest will be celebrating its 15th year and Lucie Wicker Photography will be there to help them! 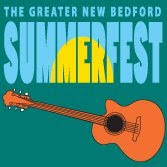 Summerfest consists of over 70 performers and 90 juried artisans convening at the historic New Bedford Whaling National Historical Park for two days of art, music, food, and awesomeness. The arts and crafts booths are divided into three sections: the Artisans Marketplace, the Fine Arts Area, and the International Bazaar. I will be in the Fine Arts Area which will be right in the heart of the festival in the Jacobs Family Gallery of the New Bedford Whaling Museum! So cool! All areas are open to the public free of charge on Saturday 7/3 and Sunday 7/4 from 11am to 7pm. 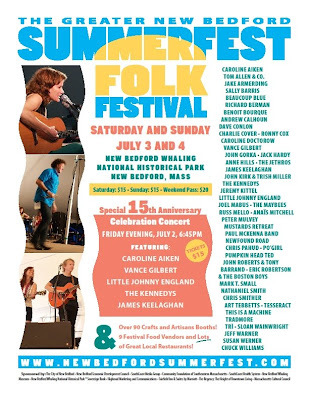 For more information, please visit the Summerfest website, or find them on Facebook and Twitter!